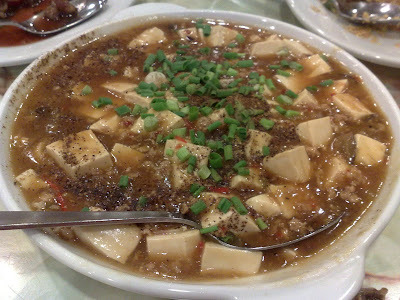 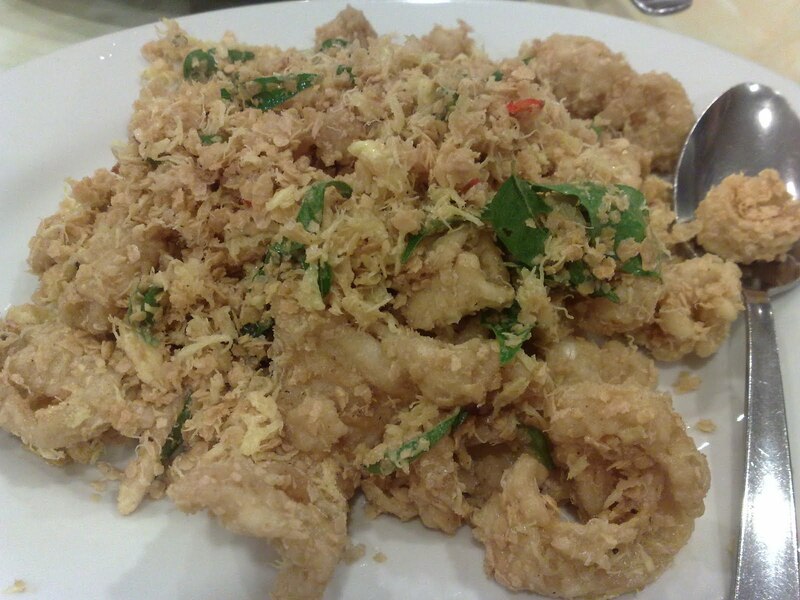 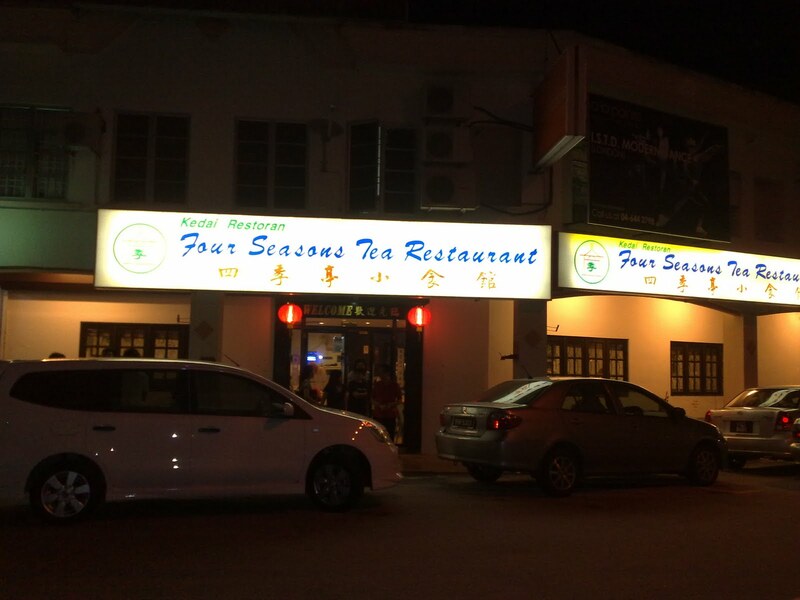 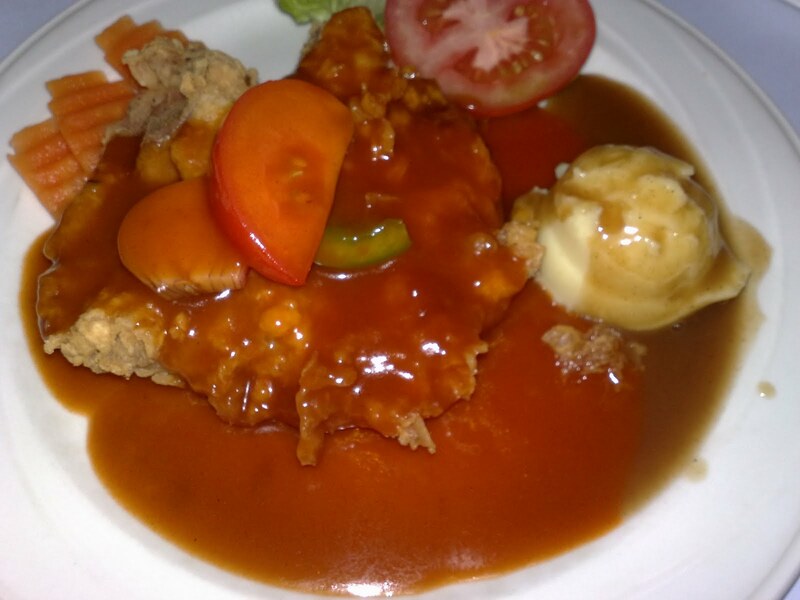 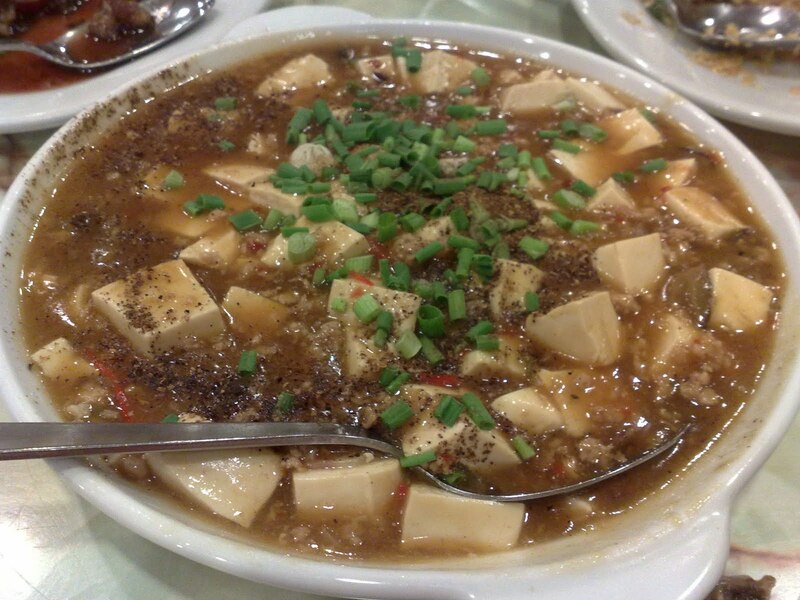 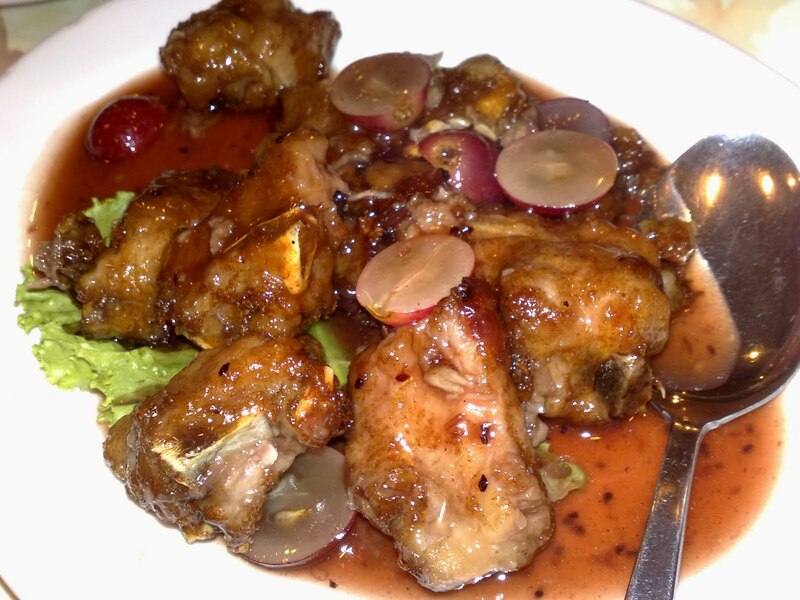 Four Seasons Tea Restaurant is a restaurant that serves typical chinese cuisine. 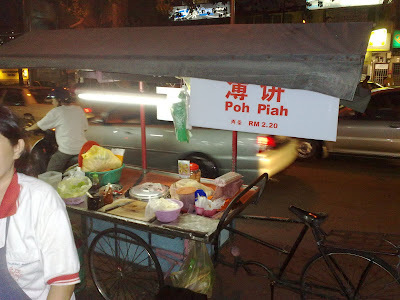 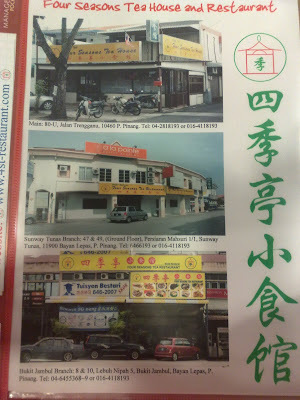 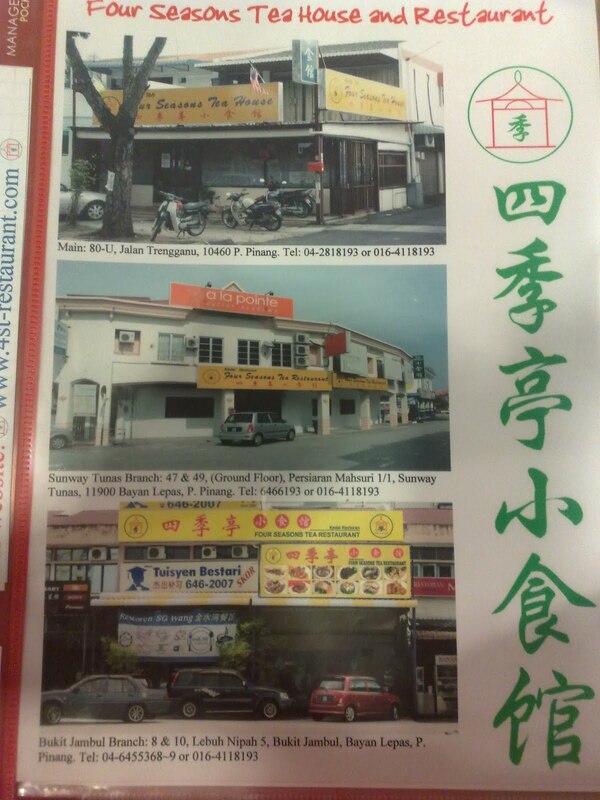 They have 3 branches in Penang. 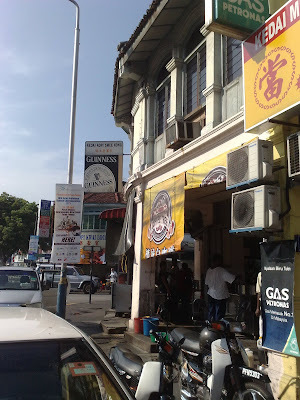 The main one at Jalan Terengganu, one at Sunway Tunas and another at Bukit Jambul. 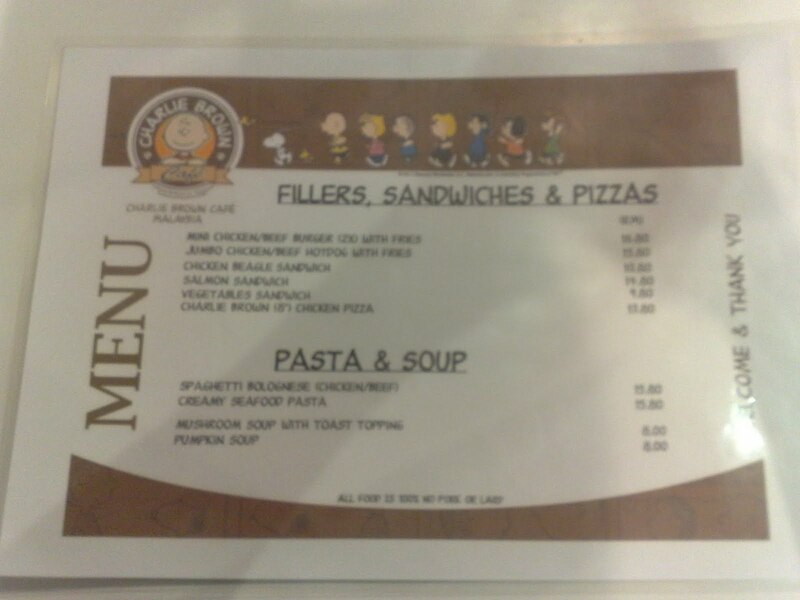 You can find out their menu here. They served soup as free. 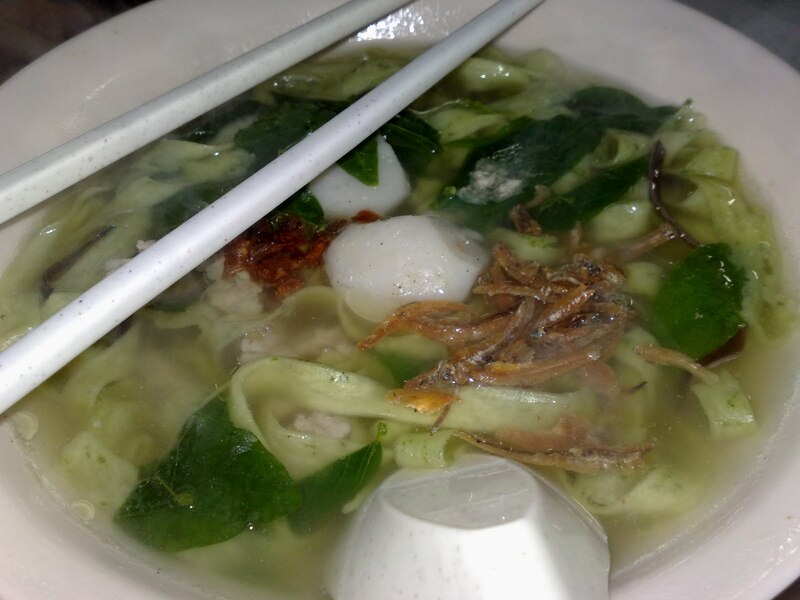 It's like the soup-of-the-day. 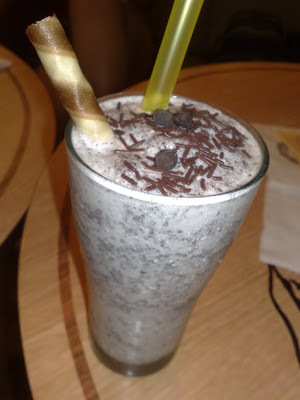 This one is delicious!! Highly recommended!! 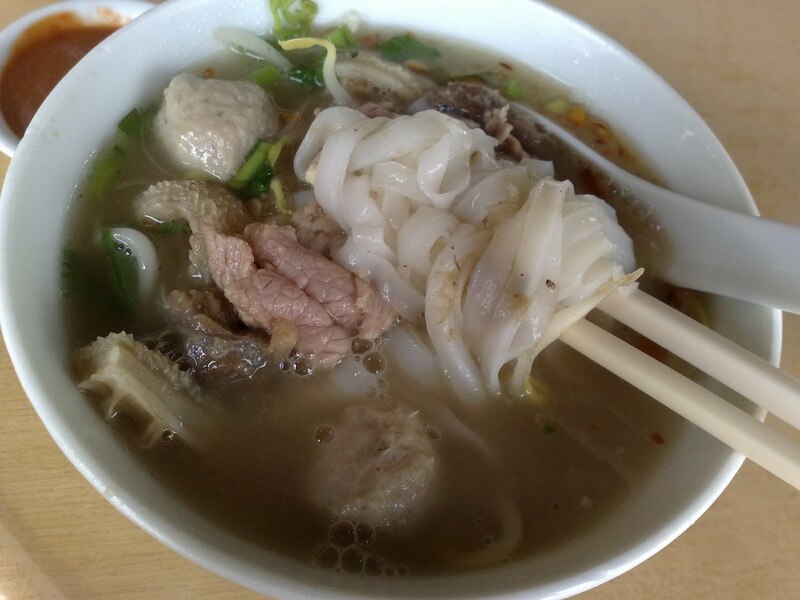 Feel like tasting Beef Soup Koay Teow. This is one recommended place. 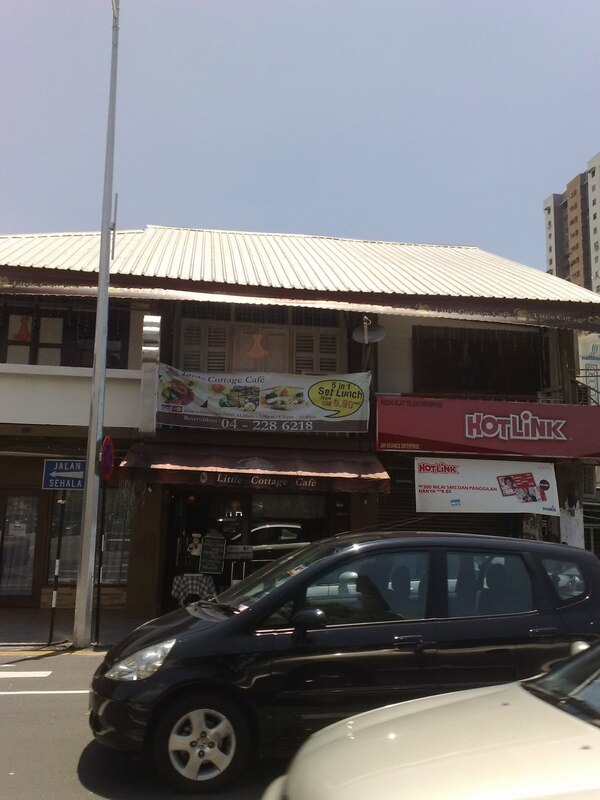 It is directly opposite the Chulia Street Fire Department. 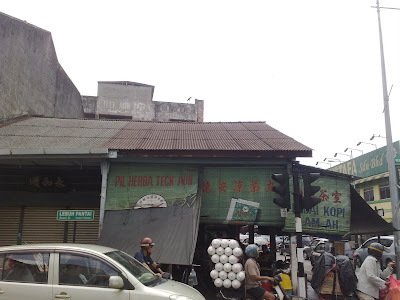 That's to say, it's a corner shop at the crossroad of Lebuh Pantai and Lebuh Chulia and Gat Lebuh Chulia. The cook is a lady. 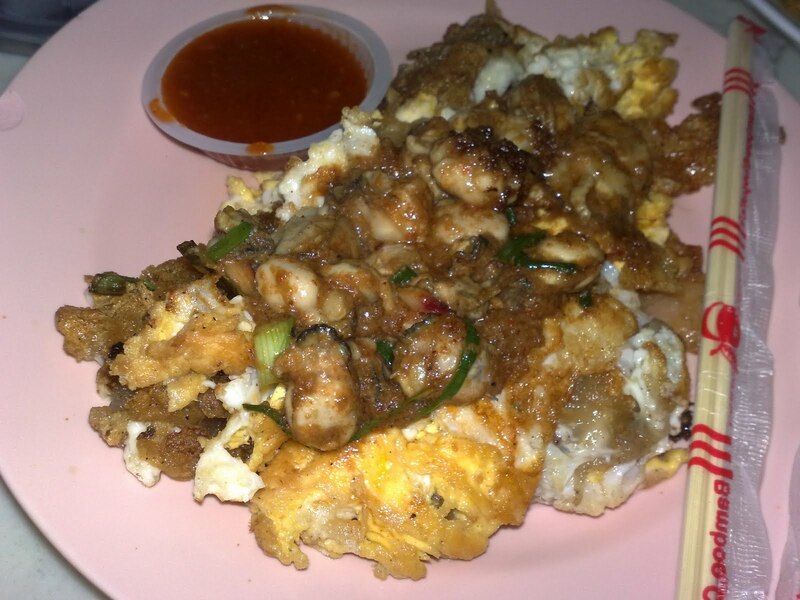 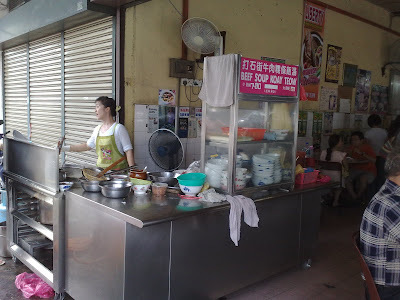 Lam Ah Coffee Shop has only two stalls: This Beef Soup Koay Teow Stall and another Fried Oyster stall. 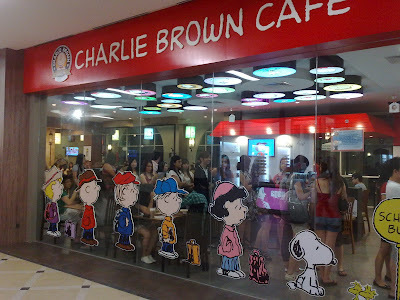 It was crowded when we went. 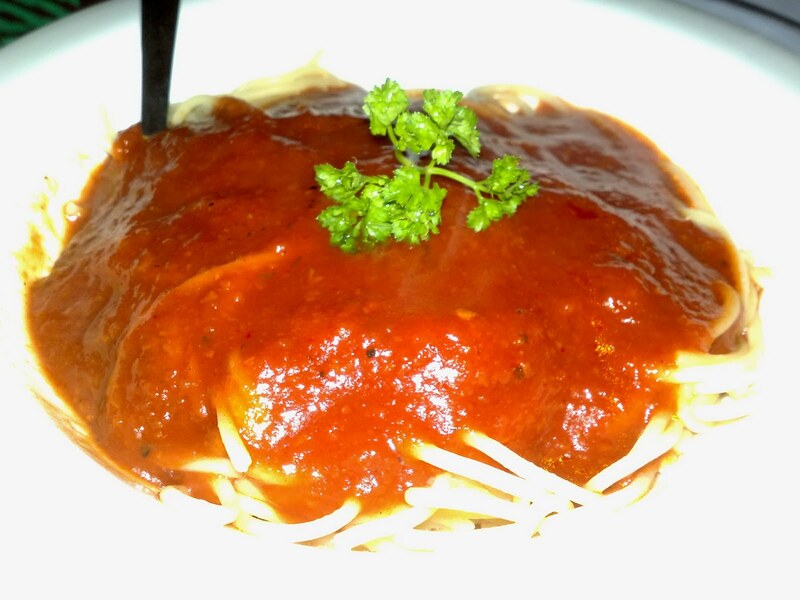 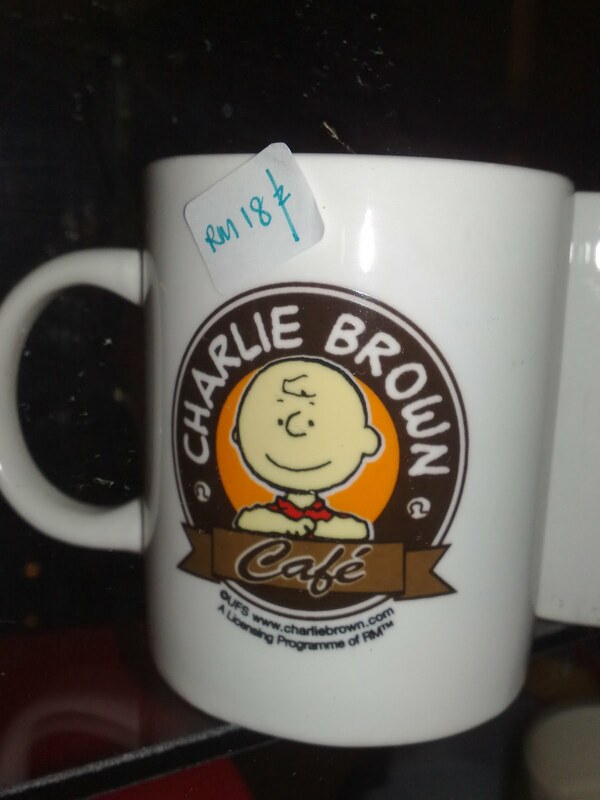 Though it's a bit much pricier, it's worth it. Looking for a place for breakfast? 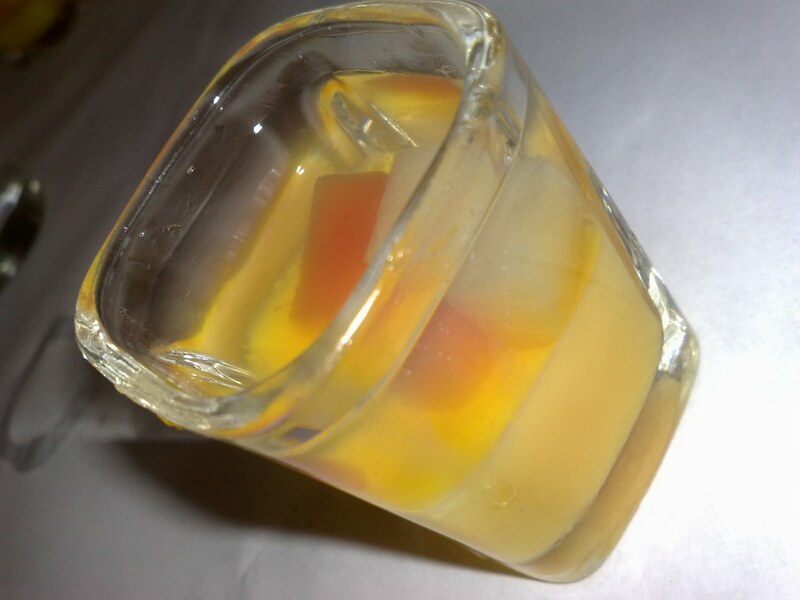 You might wanna try this one. It's just situated directly opposite the Pulau Tikus Police Station. 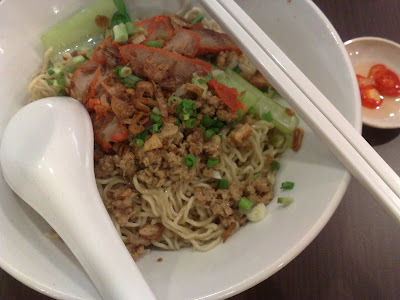 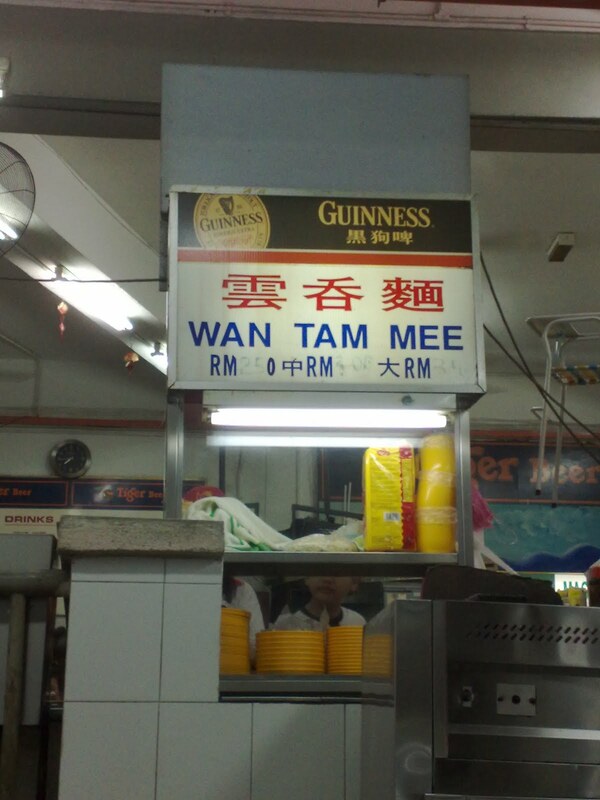 In the morning, only this Wan Tan Mee stall and another Indian Mee stall opens at Swee Kong Coffee. The other stalls probably open during lunchtime. Most of the customers were here for this Wan Tan Mee. 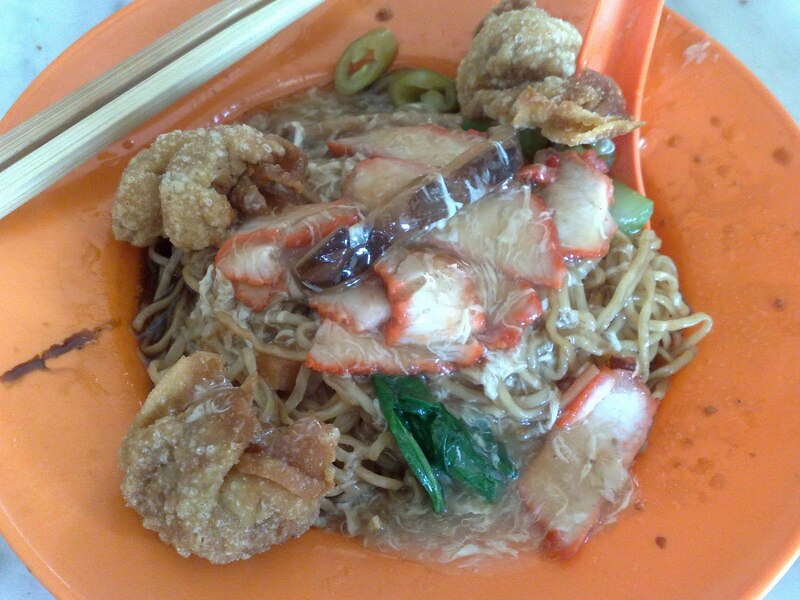 What makes this Wan Tan Mee unique is that it has egg gravy 蛋卤 on top. Updated Jan 11, 2014: It's been closed down. 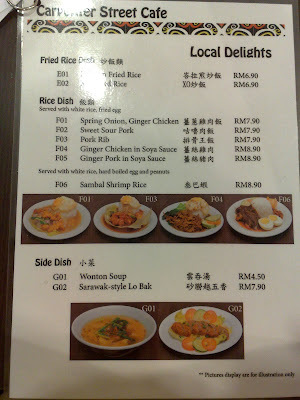 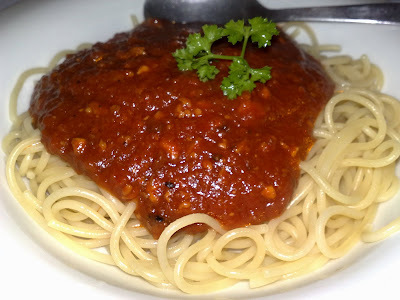 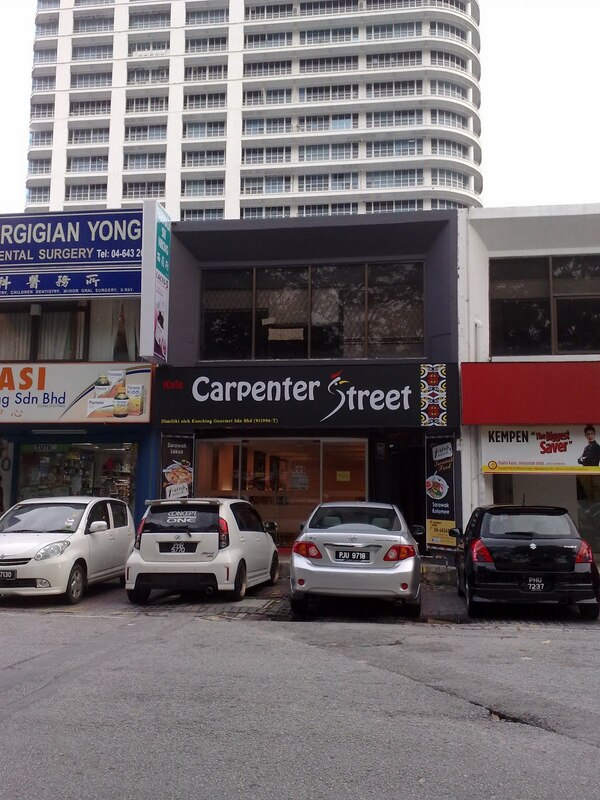 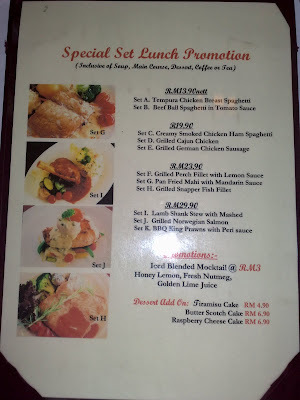 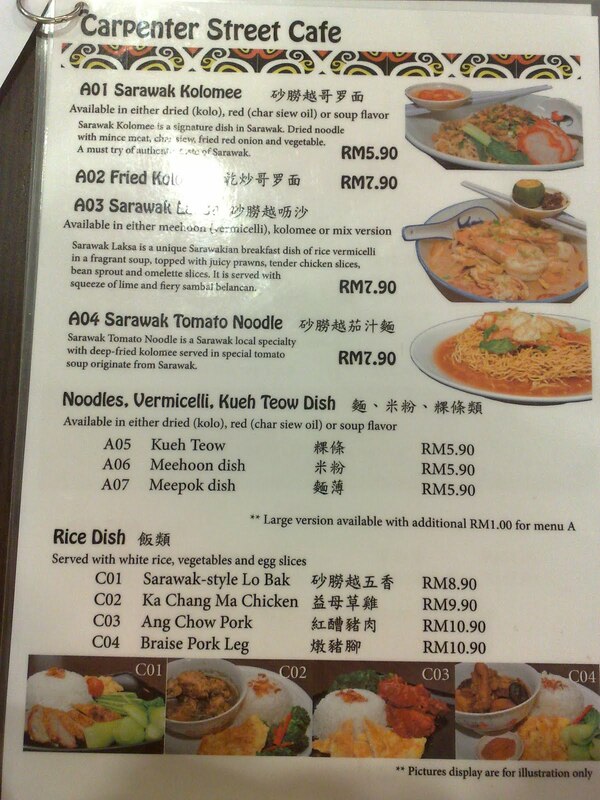 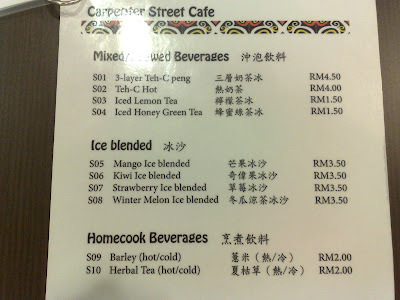 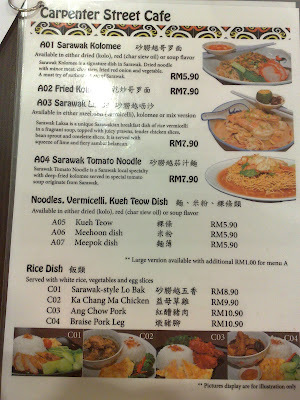 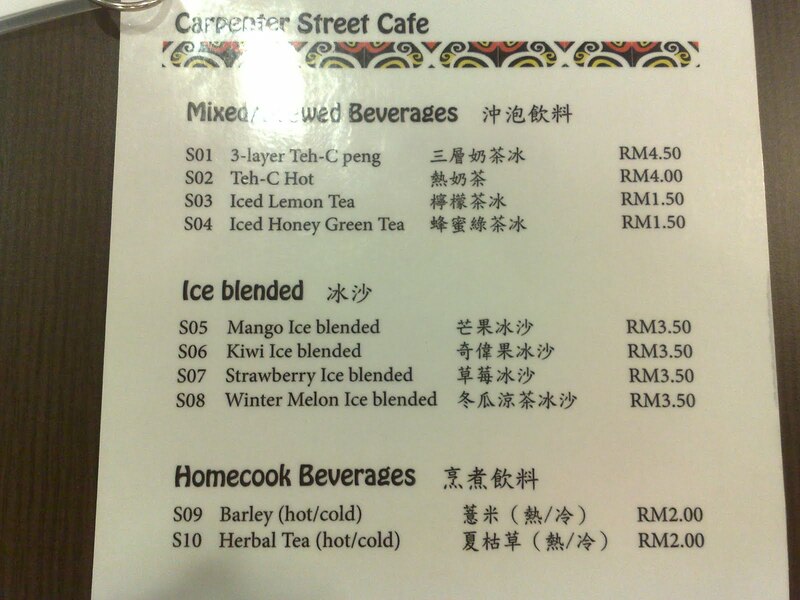 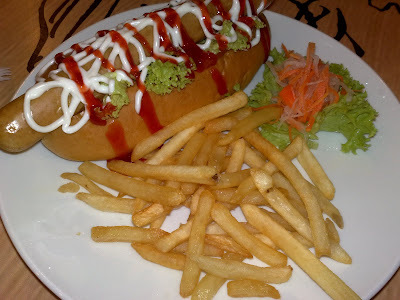 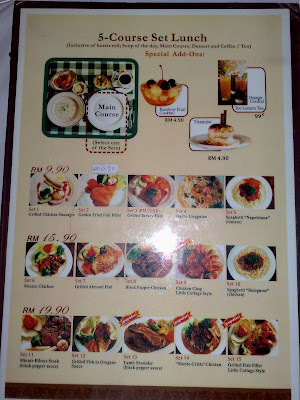 Even if you are in Penang, you can still taste Sarawakian Cuisine here at Carpenter Street Cafe. 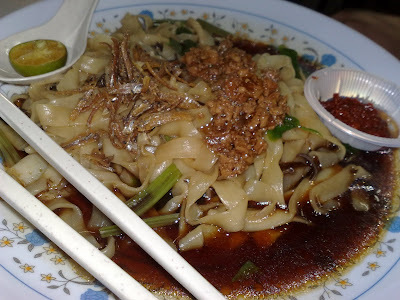 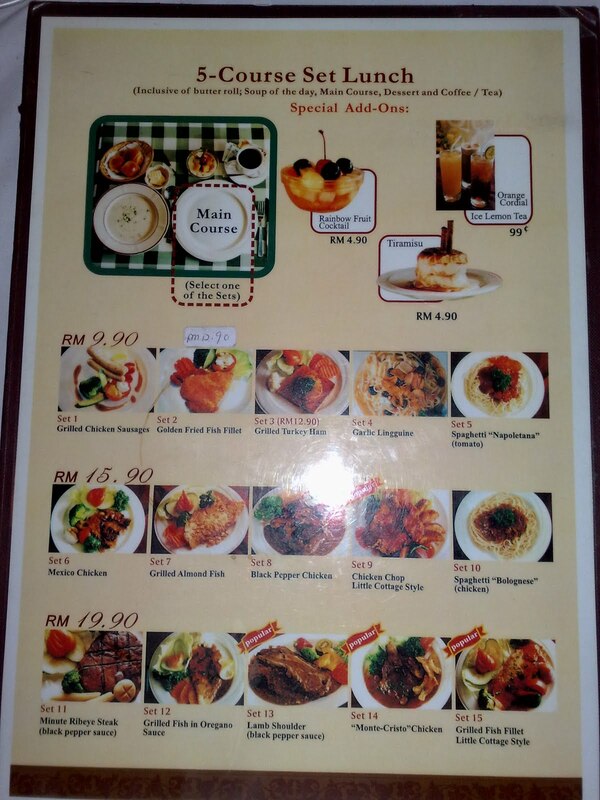 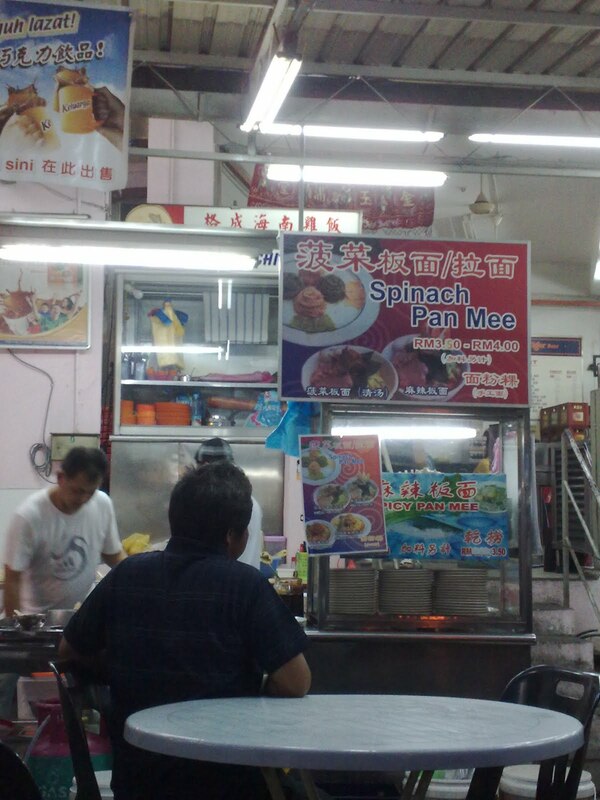 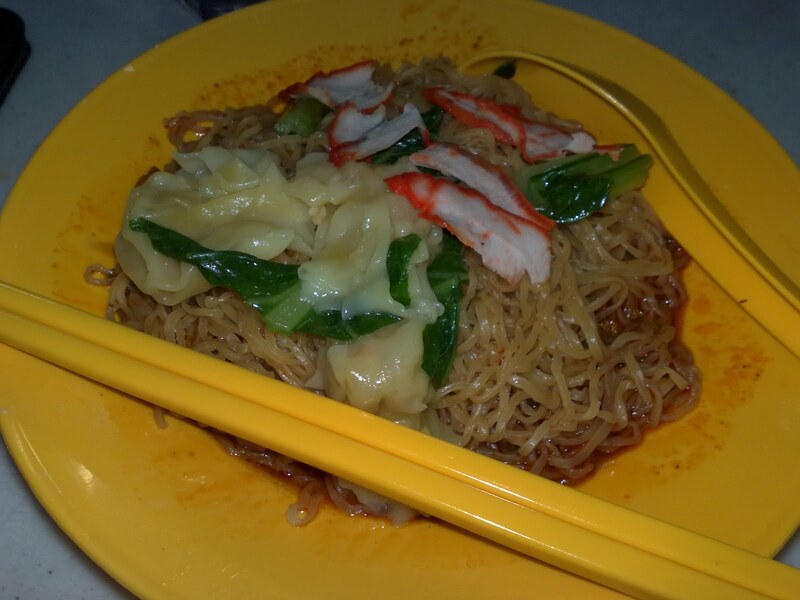 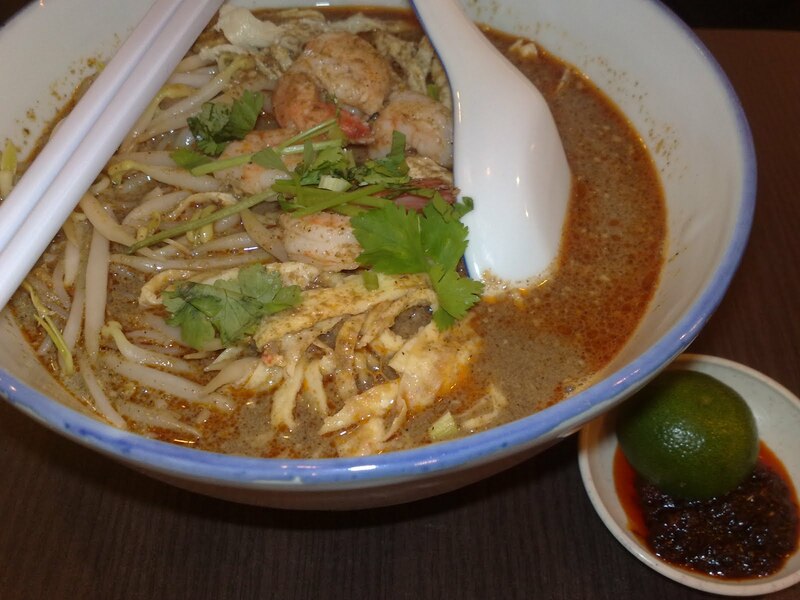 You can a variety of food at Maga Restaurant..
Just behind the Spinach Pan Mee stall is the Koay Teow Soup stall. A few stalls away from the Koay Teow Soup stall is this Wan Tan Mee stall. This stall sells Spicy Wan Tan Mee.. 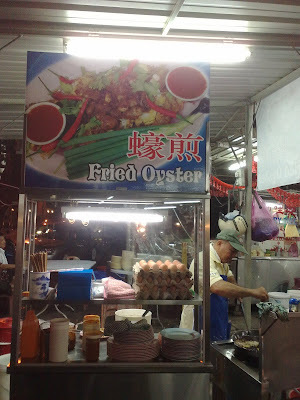 They have fried oyster stall too.. 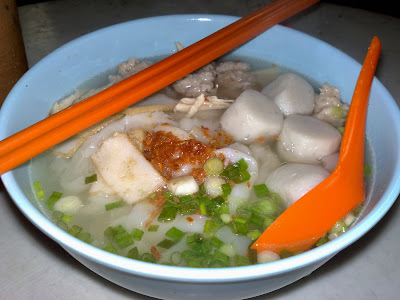 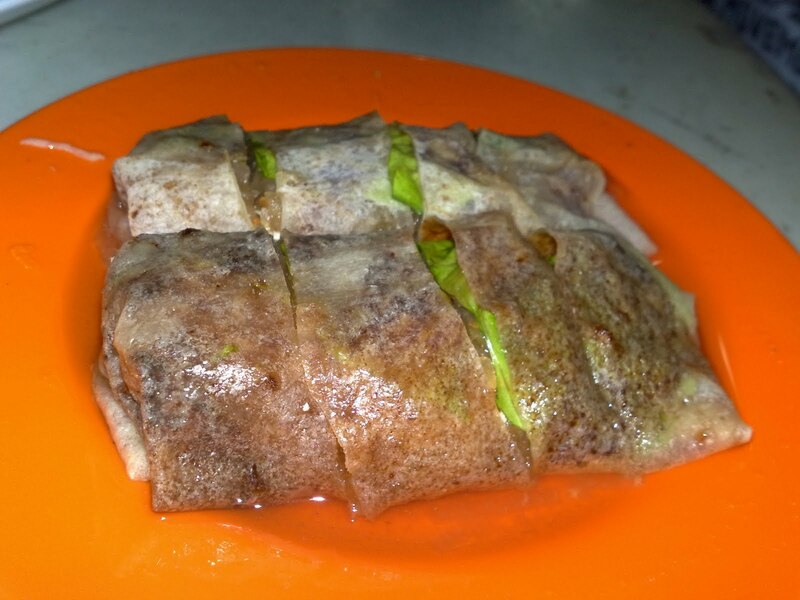 There are many other stalls around like Curry Mee, Bak Kut Teh, Lok-lok, Chee Cheong Fun, Yam Rice and Yong Tou Fu, Porridge, Curry Fish Head, Grilled Fish, Chicken Rice etc.. 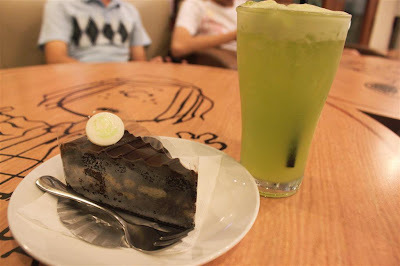 The Little Cottage.. It has branch (Little Cottage 2) at Gottlieb Road. 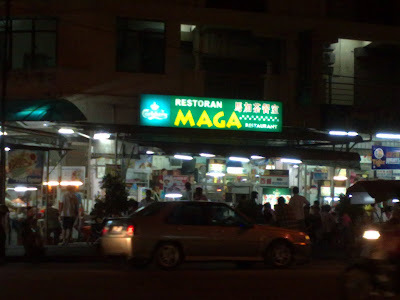 This is probably the main branch. It's at Burmah Road. A 5-course set lunch consists of a butter roll, a Soup-of-the-day, a main course, a dessert and and a cup of coffee or tea. 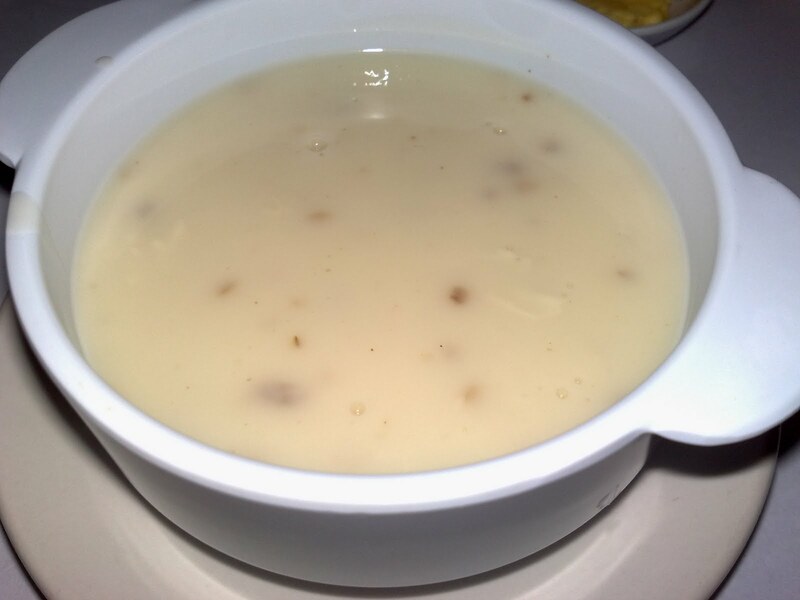 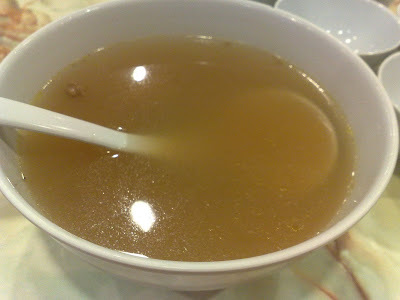 This is the mushroom soup (Soup-of-the-day).. 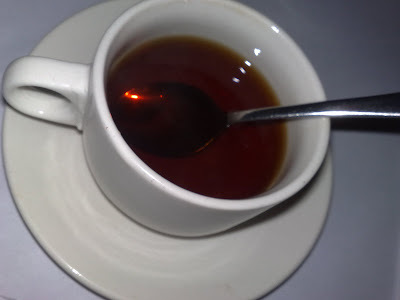 It's Campbell's mushroom soup.. Hehe..
And finally, a cup of coffee/tea.. 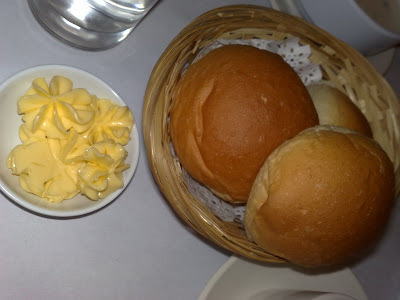 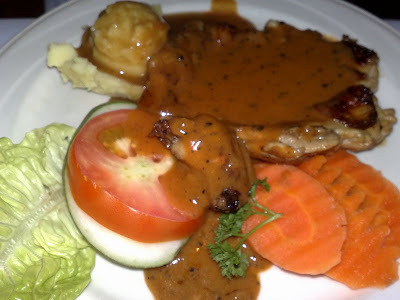 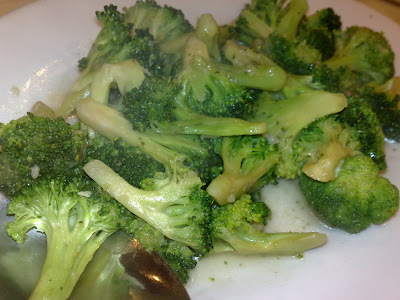 The service and food at this Little Cottage is much better than Little Cottage 2(@Gottlieb Road). 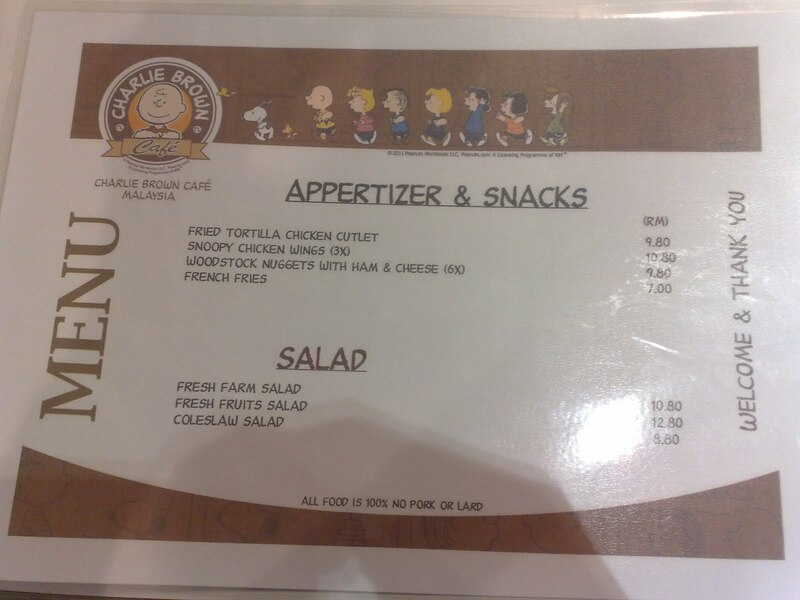 However, they serve food quite slowly too.. 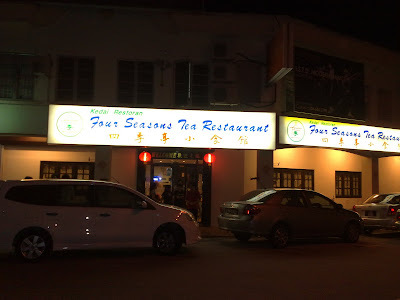 Updated Aug 22, 2014: It's been closed down. 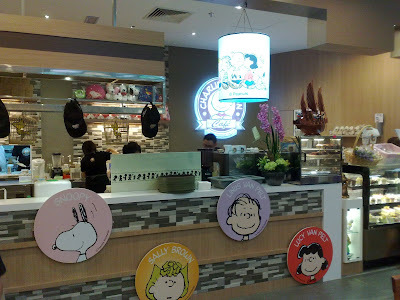 There's a new cafe in town!! 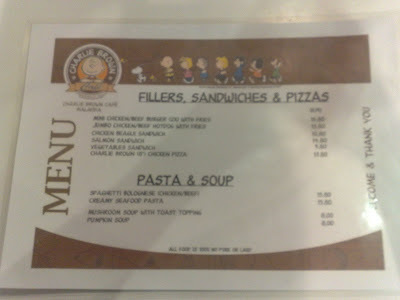 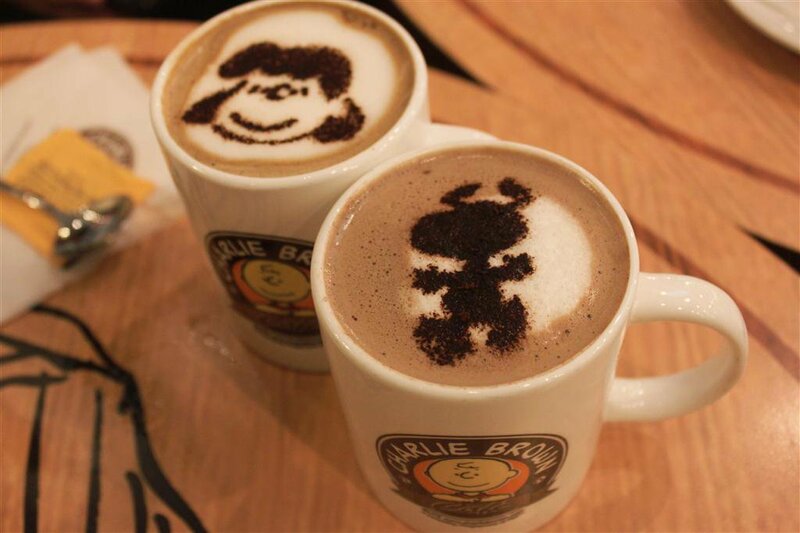 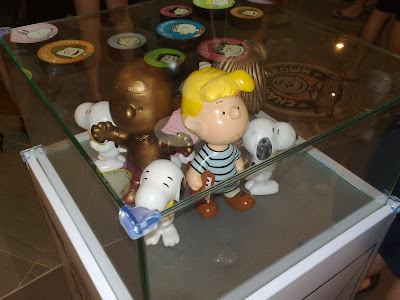 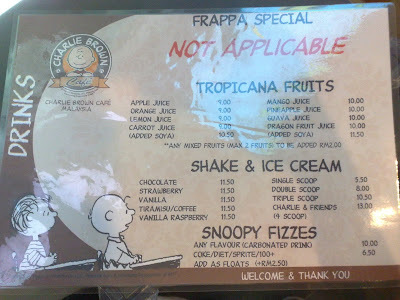 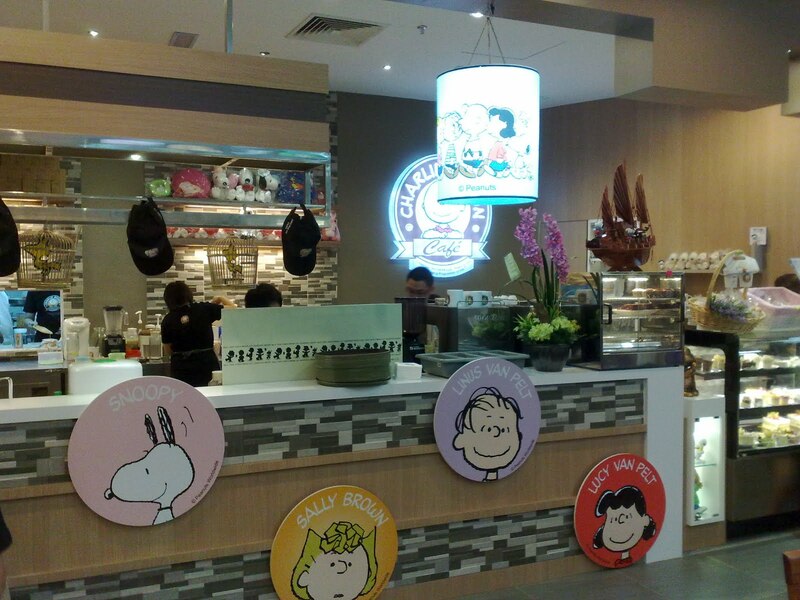 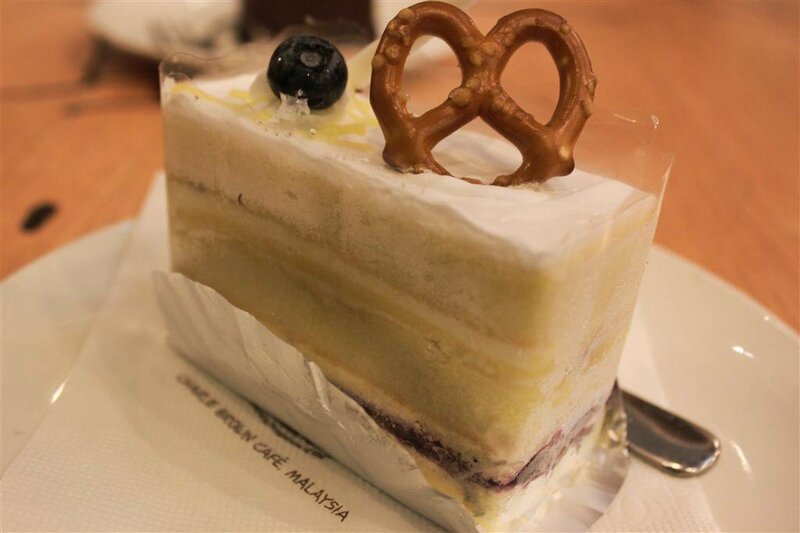 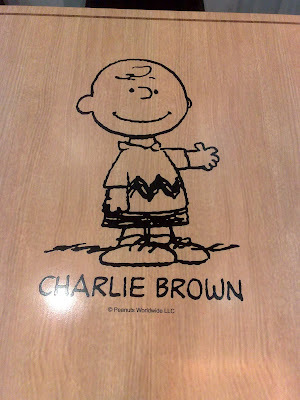 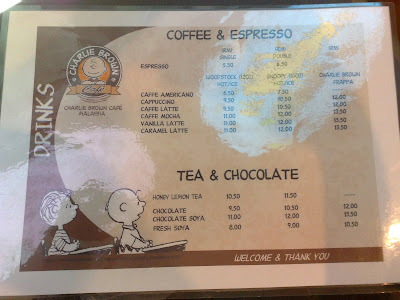 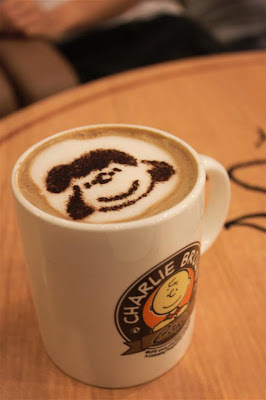 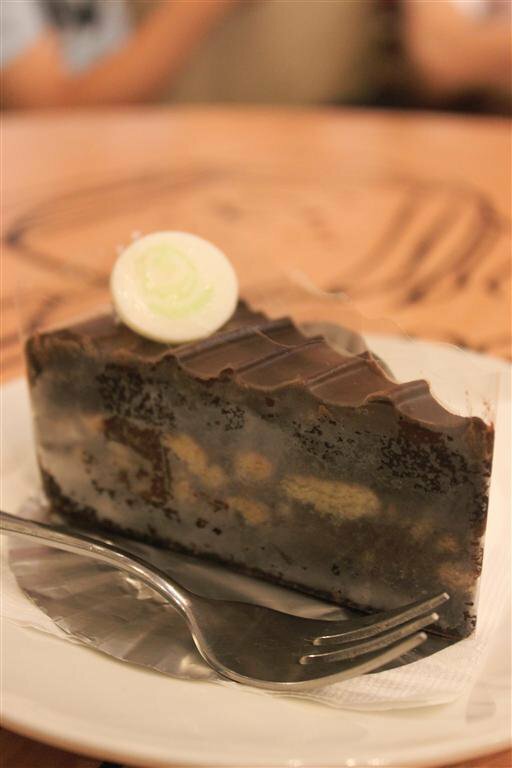 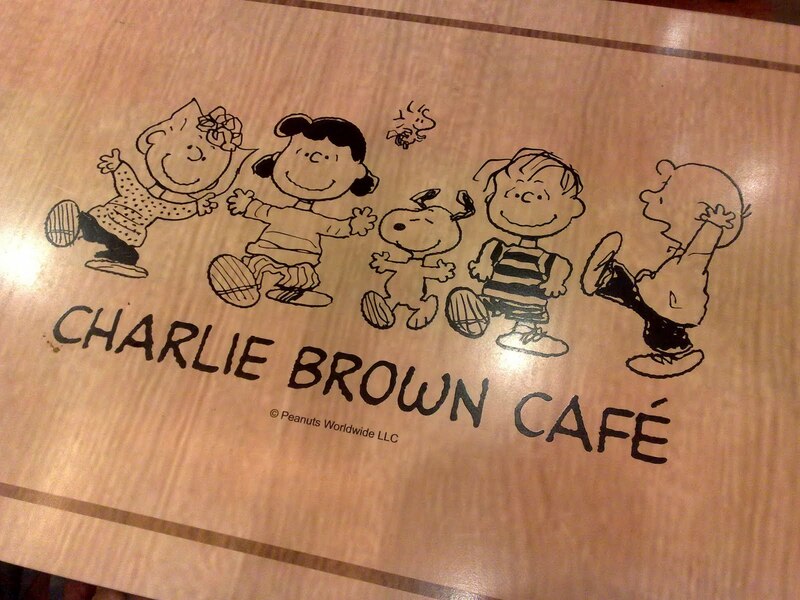 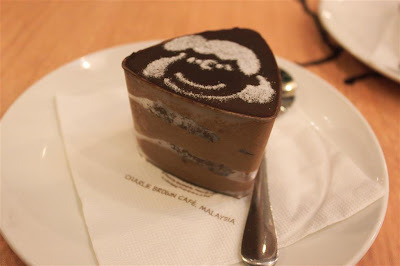 It's the Charlie Brown Cafe at the 1st floor of Straits Quay. 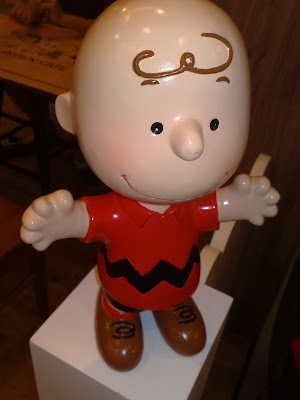 He's a boy whose kite never flies and he never succeeded in kicking the football. 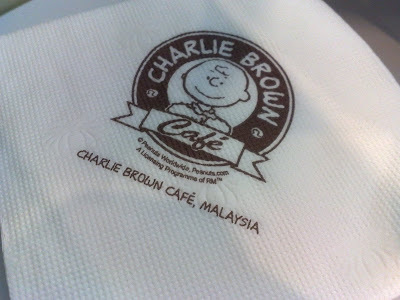 Since it's newly open in Penang, there was a huge crowd. 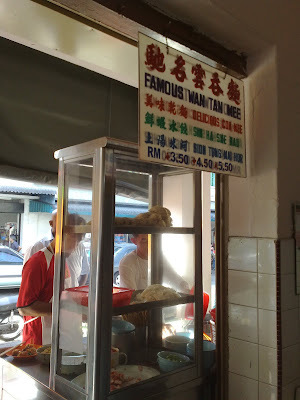 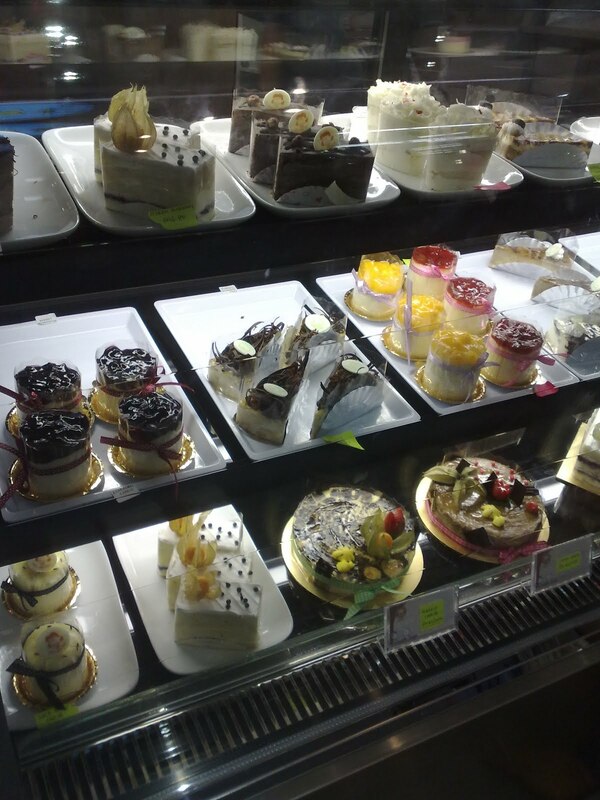 There was long queue at the counter. 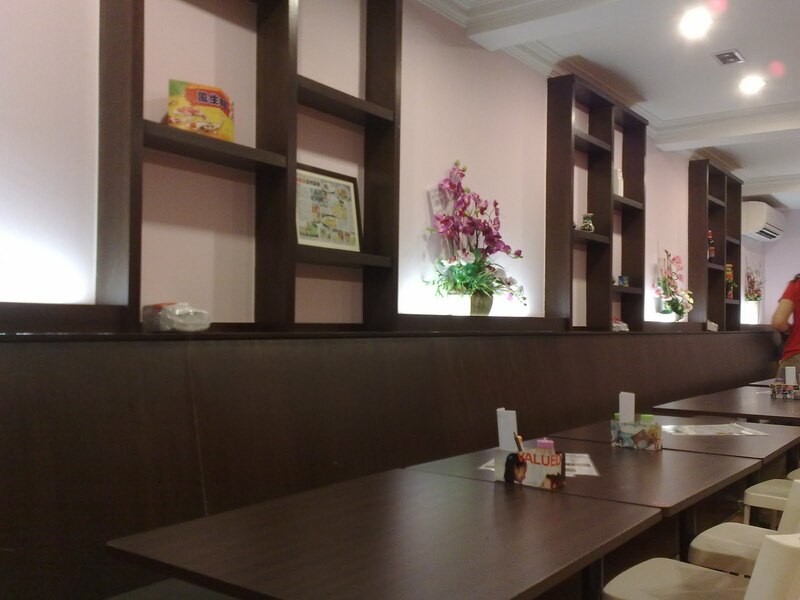 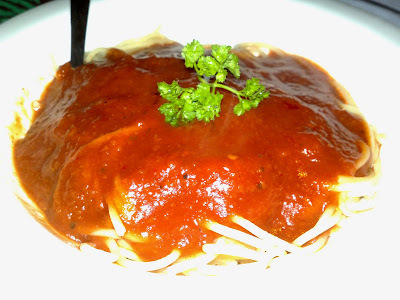 Most customers are equipped with a camera. Here's some decorations on the wall outside the cafe. 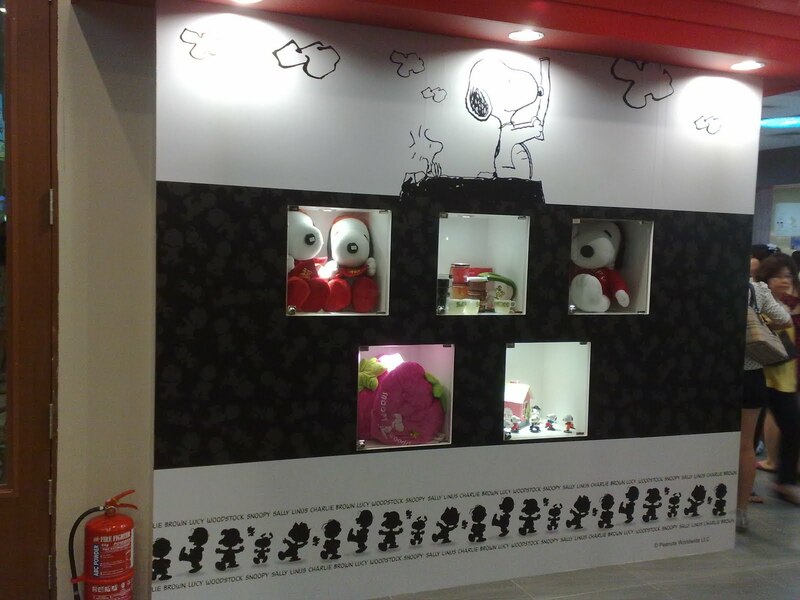 Snoopy is sitting at the entrance.. 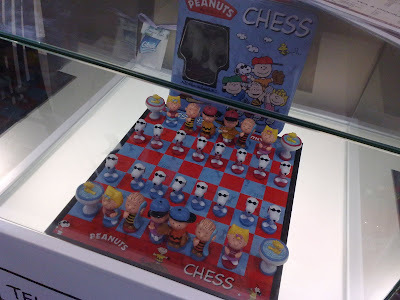 The chess set. I guess it's purchasable. 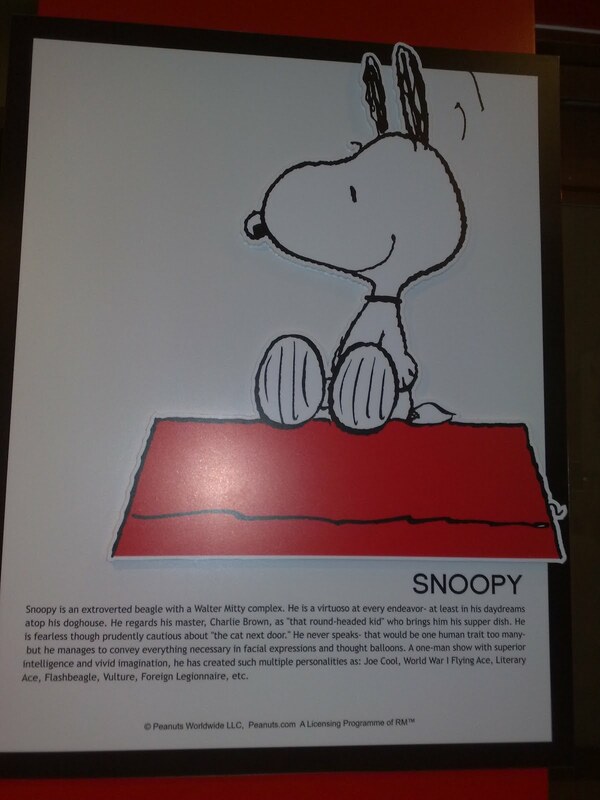 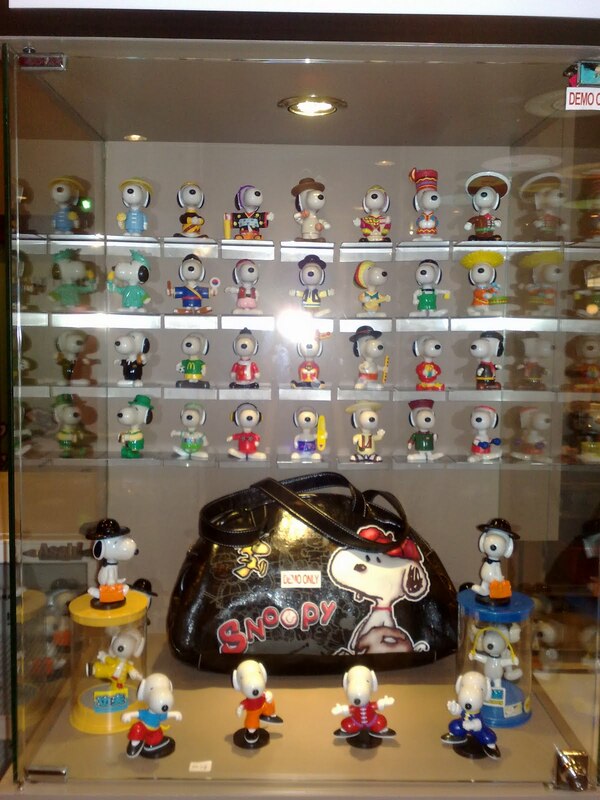 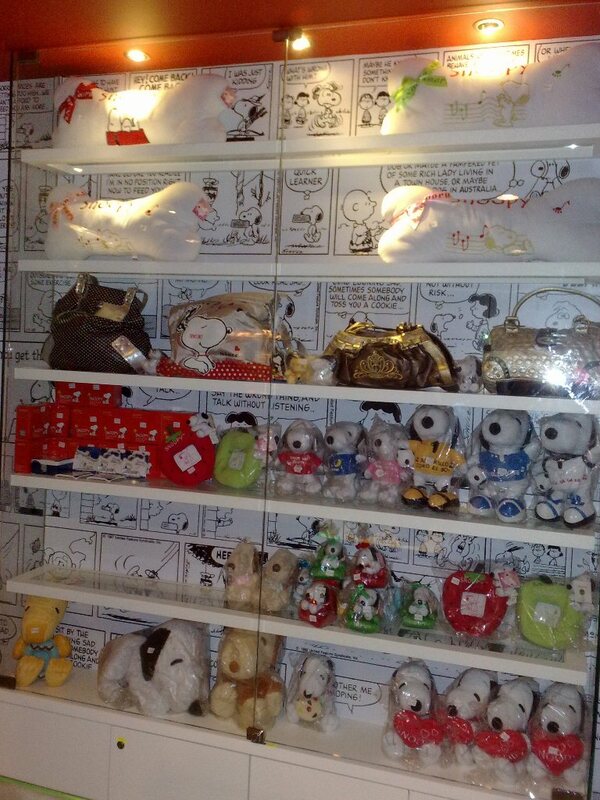 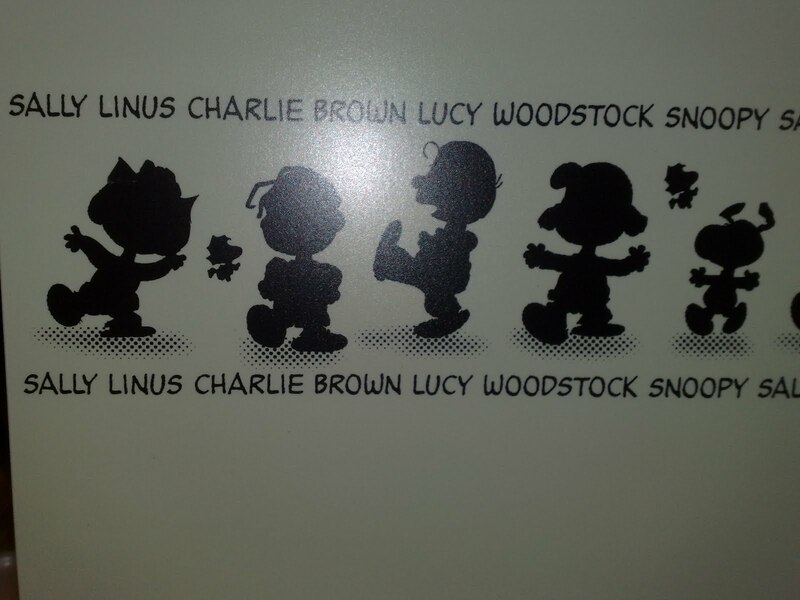 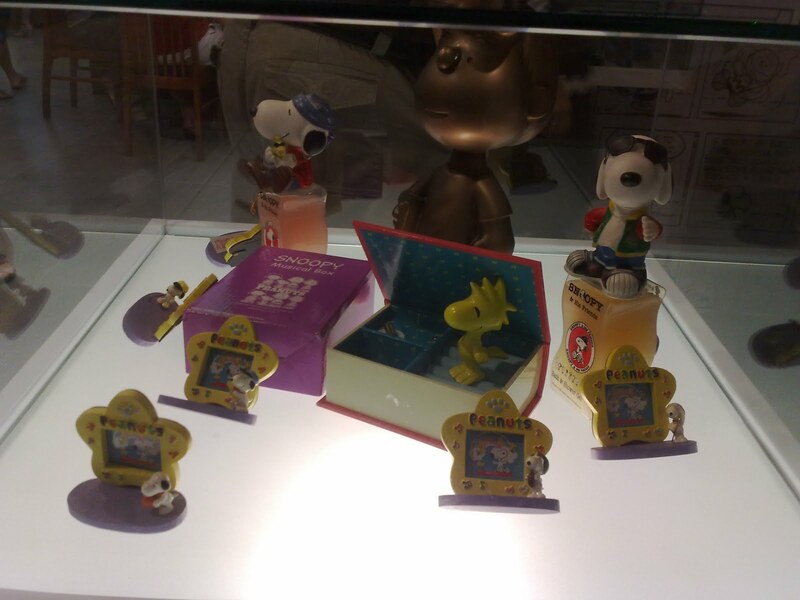 You can find a huge collection of Snoopy merchandise here!! 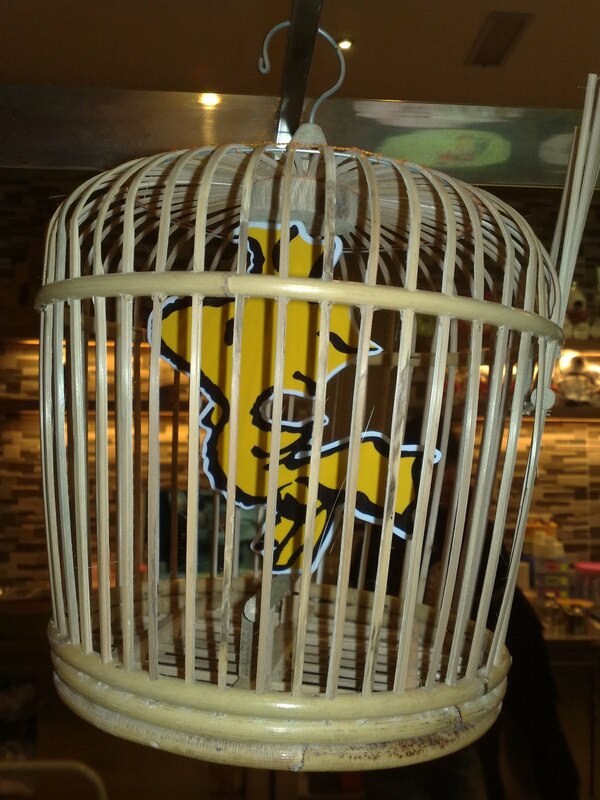 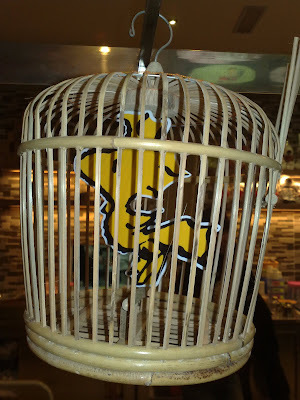 Poor Woodstock.. he's in a cage.. Let him out! !